The Rumours of the once might guild "Dream"
As the campfire crackles, Stories of what the Guildhall's Doorknob could be, and of course the retelling of "Barry's Bottomless Barrel", a story that every adventure and bard knows by heart. Re: The Rumours of the once might guild "Dream"
He clears his throat to speak of the rumoured "Mr. Cluck the chicken". "This legendary mount was feared by everyone. Only one person was able to tame this mount, one of the old guild masters, but his name was lost to time. Its made out of pure darkness and can run up to 75 MPH. It was said that it could one shot a dragon with the claws on its feet. standing at 8ft tall and the only one of his kind. Mr. Cluck the chicken." Ah the dreaded mount is nothing but a myth surely. I heard the real treasure was the necklace of alacrity. Made of the blackest of black onyx with a single large sapphire with 4 triangular sides, flawless but for a different number of marks on each side. It was said to quicken the wearers reflexes and fortify their muscles to make them faster. It is rumoured in the deepest of halls that the wearer would have an uncanny ability to avoid 1 out of every 4 attempts on his life simply by luck. That's the real treasure in the Dream guild halls. Not some mythical beast! "hmpf... I heard it was a ancient parchment which held the tale of how it all started, and that it was enchanted with a connection to a pair of dragons who defected. Abandoning their kindred and going rogue it is said. This was a millennia ago though. Holding the parchment they say can enable the bearer to gain the strength and knowledge of these said dragons. These are just the tales though..."
Azrael sat down watching the fire, looking around he decided to share rumour of a item he once heard about on his journeys. "Along time ago there was a simple silver locket that once belonged to a wizard of great power, this wizard had crafted the locket with one ability and one singular ability alone and it was the ability to take anyone who struck him in anger his life's health and leave him at deaths door unless the attacker was mentaly strong enough to resist the power of this simple locket"
The rest of the group gently laughed and chuckled at such a item, Uruk bellowed at azreal while drinking a flagon of wine and said to him. 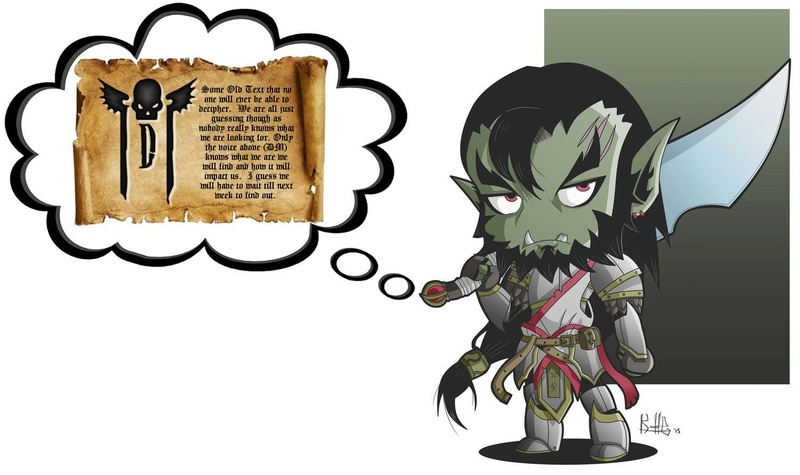 "Okay warlock tell me how with such a item the wizard then died..."
"As legend had it orc, the silver locket only would work one time only during a full day cycle only to recharge afterwards and any attempts at theft left thieves stone cold dead. As the legend goes that the wizard had killed a love rival of a foreign princess of Indus and her brother wanting vengence for slaying such a good man decided to challange the wizard to a duel and as the locket tried to steal the mans life force, the man was able to resist by sheer force of mental intention and proceeded to then slay the wizard"
"So tell me then Azrael where does this silver locket reside?" "After the duel, the man who had slayed the wizard took the amulet and went to an ancient tower to hide such a powerful item away so no one could ever find it and cause such ill amongst the land"